The line of dairy products “Good Milkman” was originally conceived as a charity – the money from the sales was to help seriously ill children, and buyers could easily read the charitable context. After the redesign the idea was blurred and no longer evident. 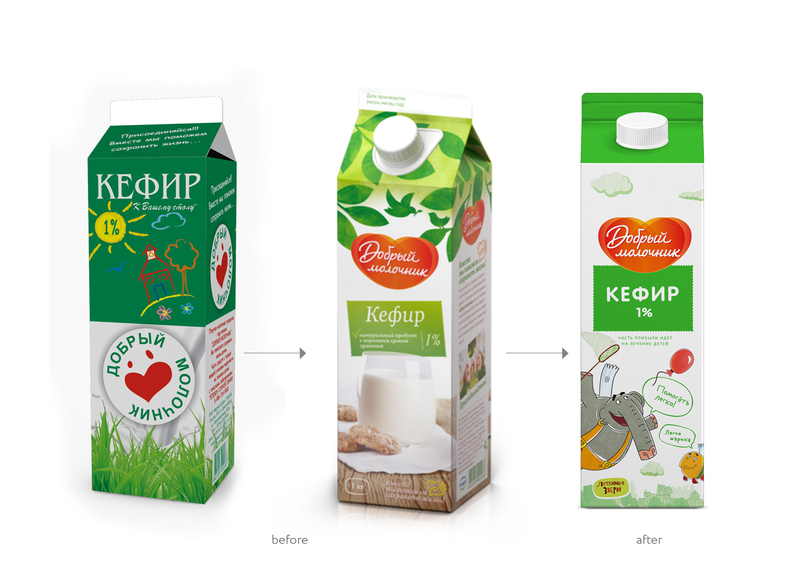 Our task was to return the original idea: you can help children by simply buying a package of milk. 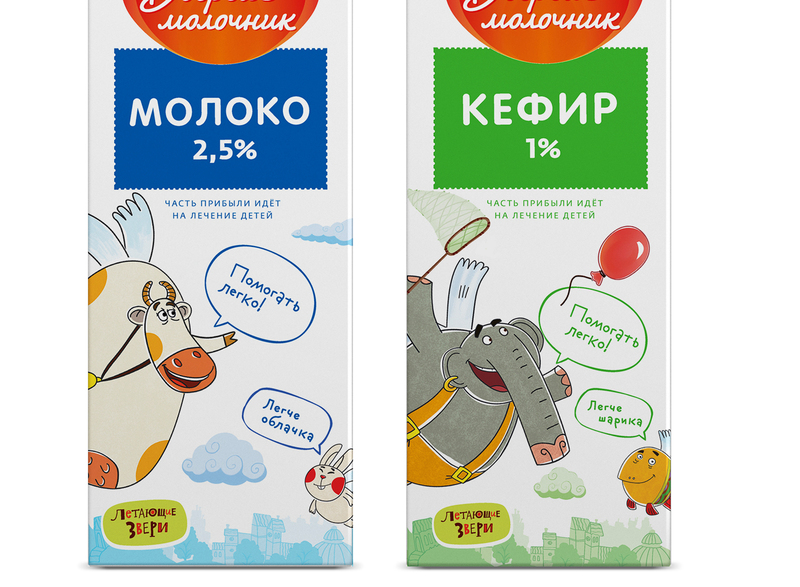 The children animated series “Flying Animals”, which is also based on charity, allowed to combine the name of the brand “Good Milkman” and the purpose of the brand. Animals of the series live on a Flying Island, and everything they do they do easily, no sweat. The same way as on the Flying Island, it is easy to help in real life – just buy a package of “Good Milkman” products, and part of the price will go to a foundation helping children. ← “Say cheese!” – a line of cheese spread CHEESE! 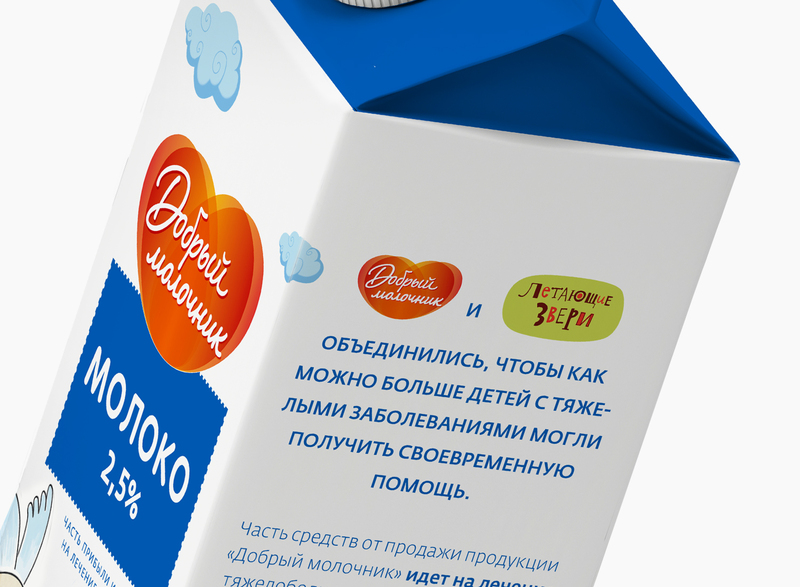 This entry was posted in Ohmybrand | Разработка позиционирования, упаковки, торговой марки, названия, стратегии., package, what, local, works. Bookmark the permalink.